Modern air conditioning systems provide essential cooling in hot months and heating in cold periods. Better energy efficiency is encouraging more British homes to install them too, but few owners understand how to make the most of them. Older central heating boilers and air conditioning systems are usually separate. Generally, neither is friendly to the environment or to your pocket. In fact, even in these days of austerity, there is often government help toward the installation of more efficient condenser boilers and the opportunity to claim Enhanced Capital Allowance against the installation of modern inverter air conditioning systems. Both incorporate heat recovery mechanisms and better compressors to reduce fuel wastage. An additional incentive for property owners is that the investment could be recovered through the enhanced market value of the building. Inverters, and other modern air conditioning technologies like evaporators, take advantage of the heat differential between the inside and outside of a building, to power improvements in their own performance – so the hotter the weather, the better they cool. The heat energy they transfer can exceed the energy they consume several times over. Variable Refrigerant Flow heat recovery systems can even cool one side of a building and heat another, by transferring heat between. A mistake homes and businesses often make is not to adequately control the systems they have. Air conditioning is left running in empty offices or overnight and timers activate systems when no one is home. 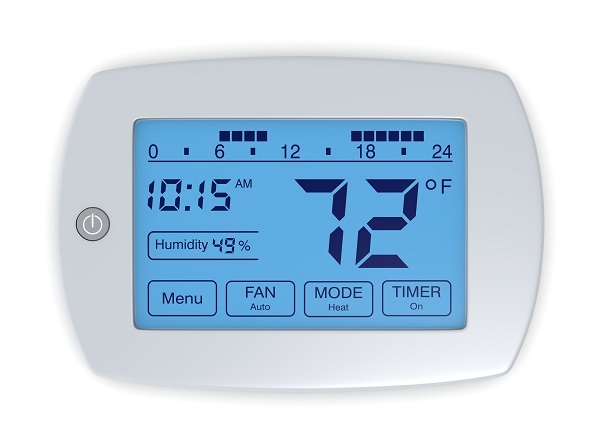 Both manual and timer operated thermostats without programming controls are left at the same temperature indefinitely. People forget to update settings before leaving their home or workplace and don’t anticipate the weather. Not only is energy wasted, but you return to unbearably hot or cold buildings. This is not just human negligence, as older timers and thermostats are crude on/off devices, and systems can lack the ability to distinguish one space from another. 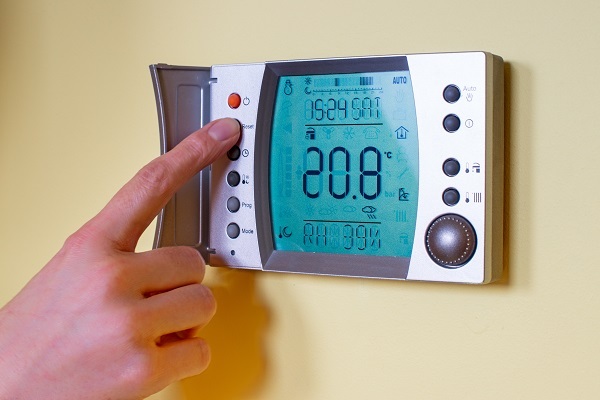 Ironically, when property owners bite the bullet and replace HVAC systems, the thermostat is often forgotten. The new system is simply reconnected to the old inefficient ones. Yet improving your control mechanism is one of the most cost effective improvements you can make – whether you’re upgrading the entire system or keeping an old one. In Britain, spring and early summer are the ideal time for most people to upgrade their thermostats and controls. According to the DOE, having a simple programmable thermostat installed will save around 10% on your heating and cooling bills. Since these thermostats are cheap and the installation work straightforward, you will easily recoup your costs within the year. 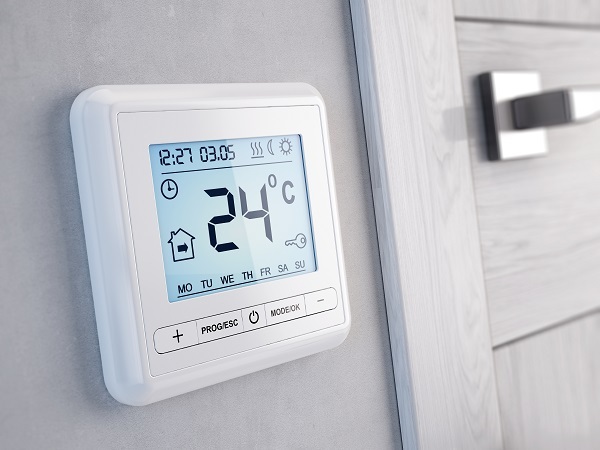 Today, there are some elaborate thermostat replacements available that control heating, cooling, air filtering and humidity, all from a single panel. An additional enhancement is to choose one that can be controlled by wifi or linked remotely to your smartphone or laptop. You can view and control the conditions throughout your home or building from wherever you are and adjust them according to your schedule. An even smarter innovation now available is a thermostat with artificial intelligence, able to learn the habits and preferences of different building users, and future HVAC systems will also receive signals transmitted across the National Grid, adjusting them for approaching weather.